In an age of growing digitalisation and human reliance on technology, it is easy for the elderly to feel like they are missing out on essential parts of modern life. 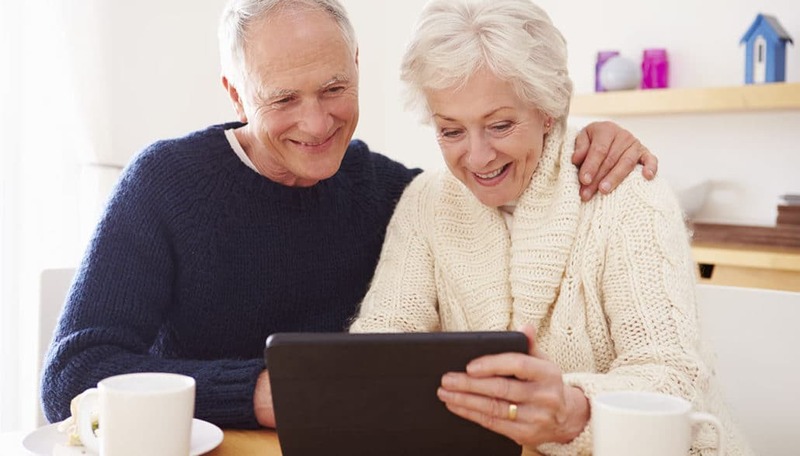 Often, elderly people will show resistance to try to learn something that they do not feel is part of their generation, but it is important to try to show the benefits of things such as the internet and mobile phones to improve the quality of life. Many elderly people do not reap the benefits of the internet. But if you give them a crash course on how it works, ensuring that they know about Google, YouTube, e-mail and Skype then they will be given a great gift. They will be able to watch whatever they like on YouTube, or listen to music from their era at the touch of a button. They can search for any information they want and be truly connected to the world. It can help to solve issues of loneliness- they can have a discussion in a forum or a chatroom or can call the grandchildren on Skype cost free. The possibilities are limitless. It is really important you never use technical terms. Hard drive and Ram are words that anyone under 50 will know, but for an elderly person these words are often meaningless. Instead of talking about the computer, just talk about what can be done on it. For example, how they can talk on camera for free with loved ones very easily. Present the problem, and then say how the computer can help. Explain that you just need a short time to explain how to use it. Most of all, be patient. Set up accounts such as email and download apps such as Skype with automatic sign in every time the computer restarts. It would be very helpful if you write a step by step guide for internet use, Skype, e-mails and so on in a neat little handbook. Whilst Facebook or Instagram might be all the rage for the younger generation, they are unlikely to be of interest to older folk. Make sure that you find out the interests of your loved one and then visit the appropriate sites or download the necessary apps. Your loved one might like bingo, shopping or crosswords- find out and show them the relevant sites. Once you open their eyes to the possibilities they will never have to be bored or lonely again. They can also receive their shopping from Amazon or Tesco’s or order a curry from town. The internet can empower elderly people by giving them a sense of independence and can help to bring the community to their own home.